If you want to find Out Who Unfollowed you on Instagram, you’re in the right place. In this article, we’ll talk about how you can know who unfollowed you on Instagram. Instagram doesn’t notify you when someone starts unfollowing you or stops following you. Usually, the simplest way to find out who unfollowed you is to keep your follower count in mind, then checking each account every time your follower count changes. You can do this, but it’ll be extremely time-consuming and especially if you have an alright amount of followers, this would take days. So in this article, we’ll also talk about some apps that help you find out who unfollowed you. If this was sponsored(i wish) we could only talk about the specific app, but it isn’t. So we’ll be fair. Let’s begin. Unfollowgram is the simplest one to find out who unfollowed you on Instagram. It has millions of users, it’s a worldwide app, it’s a 3rd party application. This means it’s not owned by Instagram or Facebook or such. It’s safe and the most entrusted app to use for unfollow information, it seems. The Unfollowgram APK is getting very popular as of late; because it has a simple layout and a user-friendly interface. Even better is, Unfollowgram is focused on more than just Instagram. It also analyzes and gives results for other platforms, such as Twitter, Facebook or others. You can keep track of who unfollowed you, on a regular basis. You’ll also be notified about who follows you. You will also get the complete information on who blocked you on Instagram. You will get full control of your following and followers list. Unfollowgram is available for all platforms. You can download the app or just the APK. Now we’ll give you instructions on how to find out who unfollowed you on Instagram. Follow our guide, we’re making it step for step just for you. Visit Google play store. Search for Unfollowgram APK. Go to unfollowgram.com in your browser. You’ll see the tab ‘Sign in with Instagram’. Tap on this, you can also tap Twitter too. You’ll be redirected to another page. Enter your Instagram login information. Be careful here, this is the most important part. App gets your follow/unfollow data in this step. Give permission to the app, after that there will be a pop-up that asks permission for the authorization of the app. Tap Authorize at the bottom right corner. Provide a valid e-mail that’s yours. After that, you will get a complete detailed analysis of your Instagram account. You’re welcomed on Unfollowgram now. You can access all services such as; who unfollowed you, who don’t you follow back, who does not follow you back, who’s following and who are you following. You can manage your account from web-page after this. Unfollowgram usually works very easily, no problems or bugs. It’s a free app so you’ll see ads from time to time, but we’d say it’s worth it. This is an app that’s growing. It has over 50k downloads and has unique features which you can’t find on Unfollowgram or such. Let’s see what are those sweet features. Foretells the best and worst followers for your account. Whounfollow is an app which is also known as who unfollowed me on Instagram. 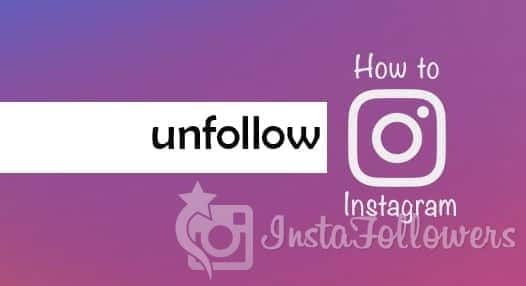 It provides you the list of unfollowers, but a lot more it gives you the information and the list of your top likers, most frequent commentators and such. It’s one of the most popular apps regarding the desire to find out who unfollowed you on Instagram. It’s the most popular on iOS devices because it’s very smooth on iOS. This app is for Mac too. With that, we’re at the end of our article. In this article, we gave you information on how to find out who unfollowed you. I talked about three apps mainly, but there are more choices in the video below. I can make a part 2 of this if there’s enough demand, doubt it though. Thanks for reading, hope we helped. Check us out and be sure to stick around. We recommend that you read our previous article titled Who Viewed Videos on Instagram.